orphaned or vulnerable children of South Africa. 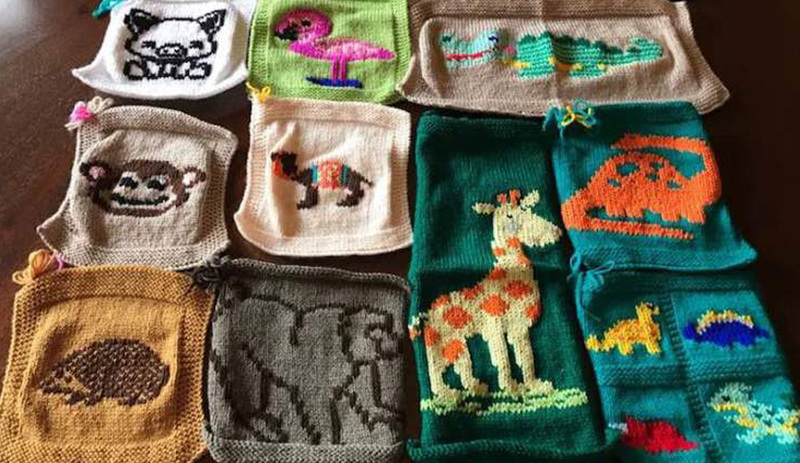 Crochet or knitting for charity? Learn everything about making and sending the squares and join our creative monthly challenges. 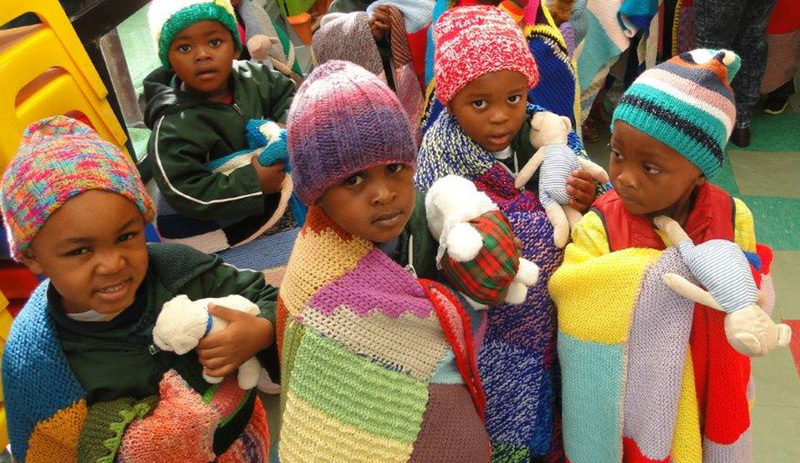 Loads of stories and up-to-the-minute photos of distributions and blankets. Your purchases will help us keep our day-to-day operations directly in South Africa. 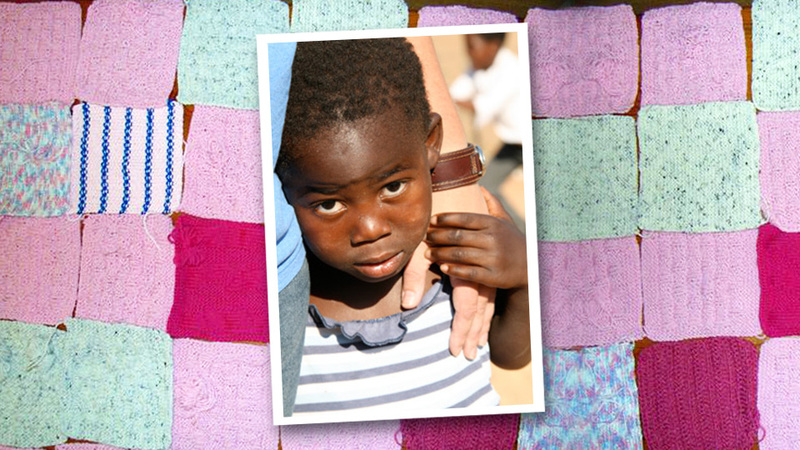 Our donors allow Knit-a-square to serve orphaned or vulnerable children. Caring and sharing. All for the children. Please contact us if you live in South Africa and have time to volunteer at the KasBarn. 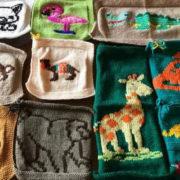 Browse our community-inspired square, hat, toy and hand-warmer patterns. We’d love you to contribute too! 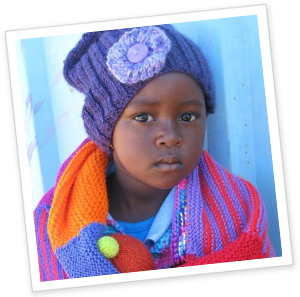 Download our Knit-a-square Teacher Resource for a small donation, as part of the CreateCare Kids program. Help spread the word about the wonderful work grassroot organisations do to help the children. 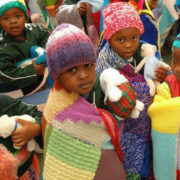 Crocheting and knitting for charity for Knit-a-square is an act of love because it makes a tangible difference in the lives of orphaned or vulnerable children and abandoned babies. Did you know that there are a staggering 140 million children who have been made orphaned, vulnerable or abandoned in the world today because of disease, war and poverty? 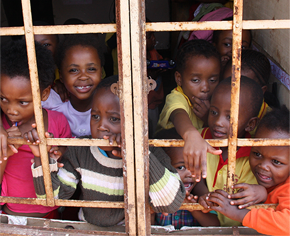 More than 40 million of these children live in southern Africa, and in dire poverty. Many of them are, themselves, affected by the disease HIV AIDS from which their parents have died. Many as young as the age of 10 head up families of their own younger siblings, living alone without any support. They lack so much that we might take for granted – love, shelter, food, education, and warmth. 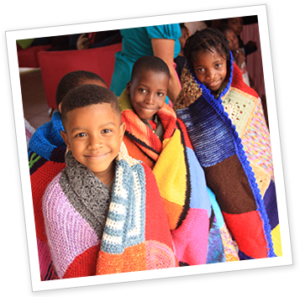 We applaud and support the hard working children’s charities who provide these first four basic human needs, and your love of knitting and crochet can provide the last item on the list – blankets to warm and comfort children who so desperately need your help. 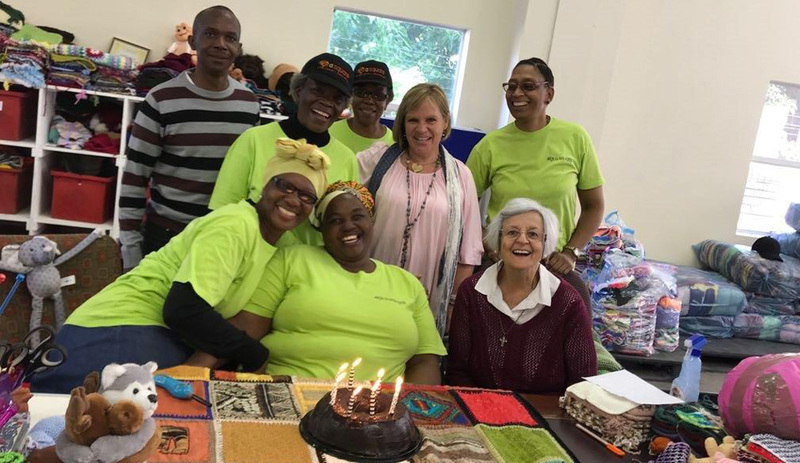 Please join with us in this crochet and knitting project and add to the over 1.5 million 8” (20cm) squares already sent by compassionate crafters like you, from more than 60 countries worldwide, and received by Knit-a-square South Africa (KAS) since 2008. 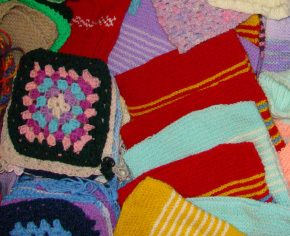 The blankets achieved from these squares have enabled KAS to distribute more than 84,000 blankets, but there are millions more children and babies in dire need. 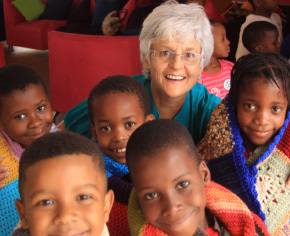 You can find out more about our project to warm and comfort orphaned and vulnerable children, here.